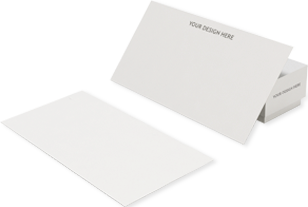 Creating a Direct Mail campaign does not have to be unnecessarily complex! In today's digitalised world, a Direct Mail marketing campaign can seem expensive and complex -like it requires too much effort and time to produce. But studies show that Direct Mail is not just effective, but more effective than digital campaigns alone. At Print4London.com, we can do so much more than simply print your direct mail campaign - we can manage it from start to finish. This includes creating the artwork, managing your customer database, personalising the contents if necessary and delivering your mail directly to your customers. Lastly, we can track and analyse your direct mail campaign's performance and even set you up so that you can keep track of it yourself. Direct marketing does not have to mean spamming your potential and existing customers with unwanted, boring and irrelevant post. Done well, a direct marketing campaign can help you improve customer engagement, and ultimately, lead to higher sales. We have many years of experience in Direct Mail marketing and have successfully created and managed such Direct Mail campaigns for charities, banks market research companies in the past. Our design and marketing team will be happy to tailor a bespoke direct marketing campaign for you too! Is Direct Mail Marketing Effective? If you have not run a direct marketing campaign before, or had little success, this suggestion may seem like old school marketing. With all the available digital marketing channels, Direct Mail marketing can seem more expensive, complex too produce and like it requires more effort and time than an e-mail newsletter. While creating a standard newsletter can indeed be easier, Direct Mail allows you to be much more creative and you can personalise the content so that it appeals to individual customer segments more. What's better: various studies have shown that Direct Mail is effective - in fact, there many are studies that found that Direct Mail is more effective than digital campaigns or advertising alone. As a stand-alone campaign without any other digital touchpoints, a Direct Mail campaign can achieve a response rate of up to 4.4%, according to the Direct Marketing Association (DMA). This figure may seem low, but for email-only marketing campaigns, the response rate is just 0.12%. In the direct marketing world, a 5% response rate is considered excellent and anything between 2-3% is considered a successful campaign. An ideal marketing campaign would integrate both print and digital channels and provide personal offers to the recipients. Afterall, who enjoys receiving junk mail? At Print4London.com, we can tailor your documents to each individual recipient using our AIM software. Do You Need Consent For Direct Marketing? GDPR requires explicit consent from a potential customer before you can market to them. But Direct Mail is not affected by GDPR, leaving you with a whole channel that you can use to drive your campaigns. We are an approved provider of MailMark with the Royal Mail and have contracts with downstream access companies. This means we can offer the best possible discounts on volume posting – and we can print stamps too! Contact us today to find out how Direct Mail marketing could benefit your business. Call our FREE landline on 0800 917 6377, email us at hello@print4london.com or simply fill in the form below.